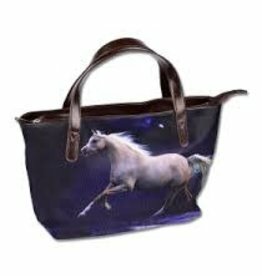 A fashionable bag for every horse-loving young woman. In synthetic leather, horses print both sides. Main compartment with zip. An inner pocket with zip provides room for small items.